Helmet does what was promised at reasonable price; deliver took 10 (11?) days and was a day late; my experience with Fedex is that is typical UPS usually delivers at least ad day early. Other than that happy with purchase. This helmet is really hard to beat for the price. It is comfortable to wear all day and is actually pretty warm. The molded construction really gives it that lightweight feeling and the inside padding is very comfortable and soft. Q: do non giro googles work with this helmet? A: Yes, non Giro goggles will work fine. Q: from the design it doesnt look like you can put your googles on to the front of your helmet if you dont want to wear it for a bit. Am i right or wrong? A: Seems you should have no problem doing that, you may have to have them kinda on the edge in the front of the helmet. Q: Are the ear pads removable in warmer weather? 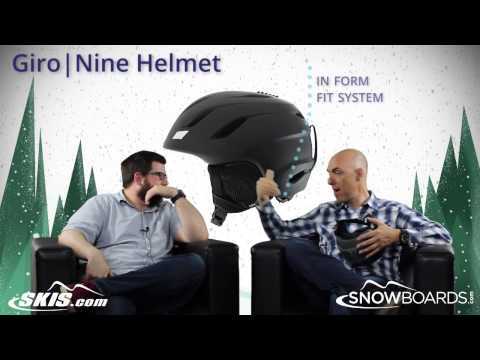 A: Yes, the ear pads are removable making the helmet great for spring ski sessions! A: You will have no issue wearing this helmet with any brand of OTG goggles. Q: Is the surface cover sturdy enough to hold a Go Pro mount? A: It would depend on the mount but this might not be the best choice. The Giro Edit helmet, which is a bit more expensive, offers a built in GoPro mount giving you a secure and hassle free connection. I recommend going with a helmet set up for the GoPro id you plan on doing a lot of filming, it will be worth it in the end.